Your hunting rifle’s scope doesn’t need to cost more than $300 to drill shots where they count. Never choose optics based on price alone. Among the uppermost expensive models available online, there comes a point when even the toughest shots and most unforgiving environments afield won’t offer many opportunities for a scope astronomically priced somewhere between $3,000 and $4,000 to perform in any positive way you wouldn’t expect the best rifle scope under $300 to equal. If your scope costs more than your rifle, field clothing, and hunting licenses combined, you can rest assured you are almost certainly no longer getting any noticeable, meaningful performance for your money that optics a fraction the price couldn’t guarantee. 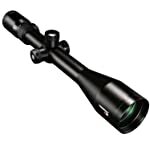 Nikon ProStaff 4 12 x 40 BDC – An easy-to-zero scope with remarkable range and a generous 3.7 inches of precious constant eye relief from one of the most consistently trustworthy manufacturers of dependable optics. The ProStaff 4 is made to create unflappable confidence in your shot amidst a wealth of conditions with a lifetime warranty behind its quality. Leupold VX-2 3-9x40mm with Duplex Reticle – One of the more surprisingly affordable offerings from a globally celebrated manufacturer, the VX-2 is a remarkably bright, lightweight scope that retains its clear field of view beautifully, adjusts simply, and drills some seriously cramped groups at 300-400 yards. Nikon ProStaff 5 3.5-14×40 BDC – It would be a tremendous misrepresentation to call the Nikon ProStaff 4 an “inferior” hunting rifle scope to the ProStaff 5. That isn’t to say the ProStaff 5 doesn’t enjoy several upgrades from its predecessor’s design with a brighter new optical system and immensely handy Spot On Ballistic Match Technology for more intuitively accurate compensation. Let take a long, close at what our trifecta of best-selling scopes brings to the table when it’s time to draw down. Zooming tight enough to count the hairs on the tip of a trophy whitetail’s ear won’t mean a thing if you ultimately stare through a dim, foggy, or hazy field of view. Fortunately, Nikon and Leupold both pride themselves on tequila-clear visibility, but there can be only one best of the best of the best among our exclusive field. Nikon ProStaff 4 12 x 40mm BDC – With only a few exceptions, the fleeting earliest and latest hours of daylight are prime windows of opportunity to happen upon game animals in transit. Fortunately, the Nikon ProStaff 4 channels up to 98 percent of available light through its optical system for an impeccable low-light, low-contrast view. That can be a difference-maker before first light when it comes to threading a shot seemingly through the eyes of hundreds of needles at once. Leupold VX-2 3-9x40mm with Duplex Reticle – The Quantum Optical System represents a revolutionary step forward in visual acuity, even by Leupold’s internationally famous standards. Picking out a minimal patch of a target through unfavorable darkness and sheets of obstructive brush requires sharply defined contrasts and vivid colors to separate what you need to hit. Fortunately, the VX-2 sharpens everything you see through it into high definition with virtually no blurring at the edges of its field of view and impressive brightness right up to the last minutes of shooting time. Everything the ProStaff 4 can do, the VX-2 will do slightly but noticeably better, with the exception of occasional very minor fogging. Nikon ProStaff 5 3.5-14x40mm BDC – Nikon has a penchant for always striving to be a step better than their last design – in this case, the ProStaff 4. In that regard, the ProStaff 5’s clarity comes through in spades with a dramatically brighter optical system will fully multi-coated optics created to draw in maximum light for precision targeting in darker environments. Its increased field of view instills need confidence when faced with deep brush and heavy timber and doesn’t warp or fuzz over at its maximum magnification. If the VX-2 is just a cut above the ProStaff 4, it falls just an inch behind the ProStaff 5. As a general rule, minimizing how much you rattle and slam your hunting rifle’s scope is the surest way to keep it from losing its zero or even breaking down entirely. Unfortunately, hunting hard for the biggest trophy game will often take you deep into brutal terrain and through relentless unpleasant weather. Lucky for you, these three models are all finely tuned, sensitive optics encased in double-tough materials. Nikon ProStaff 4 12 x 40mm BDC – The ProStaff 4’s polymer-and-aluminum body is par for the course among hunting optics made to stand up to rough-and-tumble travel. It’s what’s inside that counts, though. Specifically, I came away duly impressed with the nitrogen-filled waterproof, fogproof housing. Its perfect O-ring seal left me at ease and ensured that I wouldn’t have to draw down on a 300-yard shot at the trophy bull elk of a lifetime during my last good light through a disappointingly misty display. Be advised, customers have occasionally complained that it can feel drastically heavier than it looks. Leupold VX-2 3-9x40mm with Duplex Reticle – There are a lot of scopes that can take a kicking, but the VX-2 doesn’t display its impressive toughness at the cost of substantial added weight. As a matter of fact, tipping the scales at only 11.2 ounces, this scope is almost deceptively light enough that one might question its quality if it didn’t come from such a venerated manufacturer. That lends it a significant advantage already over the ProStaff 4. If it should break down, Leupold is notoriously dedicated to customer service, often examining and repairing or replacing factory-returned products promptly with no charge or questions asked. Nikon ProStaff 5 3.5-14x40mm BDC – As durability goes, the only factor about the ProStaff 5 is that it switches to a strict aluminum construction. Otherwise, it’s as ruggedly handsome and trustworthy as the ProStaff 4 in virtually every way, including the way it seals out moisture. Take into consideration that Nikon doesn’t honor one-year warranties on products purchased from unauthorized retailers, however. That could be one costly surprise in the event something goes uncharacteristically sideways with your scope. That lends Leupold a decided advantage in a worst-case scenario. It’s the single most obvious advantage of a quality hunting rifle scope over classic iron sights: the ability to close the visual gap between you and your target to make long and obscured shots that would be impossible to line up with the naked eye. Nikon ProStaff 4 12 x 40mm BDC – The compact ProStaff 4 comes equipped with a 40mm objective lens and 4-12x magnification. Whether your shot has to cover 600 yards or more across wide-open prairie to drop a sharp-eyed antelope or make an inches-wide hole in brush look like a gap spanning a foot, this is a scope built for versatility. Few shots will ever seem outside your wheelhouse. Even at 12x power, the picture doesn’t want for an iota of crispness. Leupold VX-2 3-9x40mm with Duplex Reticle – What we said above holds true in terms of pure visual results: anything the ProStaff 4 can do, the VX-2 will do as least as well, if not just a little bit better. In this case, the VX-2 also sports a 40mm objective lens, but a broader 3-16x range. What’s more, the resolution is every single bit as crisp with virtually no lost detail or blurring around the edges. Nikon ProStaff 5 3.5-14x40mm BDC – The ProStaff 5 nearly matches the VX-2 and exceeds the fine zoom of the ProStaff 4, thanks to its quick-focus eyepiece with 4x zoom ratio instantly sharpening the reticle. However, versatility matters. As fine a hunting rifle scope as the ProStaff 5 is overall, the VX-2 outshines it by a close margin in my opinion with a slightly wider magnification range with zoomed-in clarity being just about equal. This is the great equalizer. No matter the other areas in which a scope might shine, it all comes down to how easily it sights in, how consistently it holds its zero, how simply you can adjust it on the fly, and most of all, how dependably it drives a shot home to the exact hair you want it to put out of place. Nikon ProStaff 4 12 x 40mm BDC – Nikon sought to make its field adjustments as simple as humanly possible and succeeded with flying colors. After sighting the ProStaff 4 in as usual, the zero-reset turret’s spring-loaded adjustment knob lets you simply re-engage seamlessly after rotating it back to your “zero” before dialing in the subsequent ranges. The BDC reticle is a genuine revelation with novel, unobtrusive see-through ballistic circles integrated in the crosshairs, providing a substantial advantage on long shots along with the normal reticle for shorter shots. Leupold VX-2 3-9x40mm with Duplex Reticle – The VX-2 sports an impressive 3.7-4.2 inches of eye relief for maximum comfort. Its accuracy remains a credit to Leupold’s legacy. It delivers sub-MOA (“Minutes of Angle,” a technical accuracy measure relatively calculated based on a benchmark of 1-inch groups at 100 yards) groups at 300 yards and MOA consistency at 400 yards. Considering that most hunters rarely takes shots over 200 yards, that’s an incredible standard that does more with fewer added features to its credit than the ProStaff 4’s bullet points. Nikon ProStaff 5 3.5-14x40mm BDC – Once more, the ProStaff 5 is only moderately improved over the ProStaff 4, though its progress is admirable. Its greatest highlight is without a doubt the addition of Nikon’s proprietary Spot On Ballistic Match Technology wringing the guesswork out of one of long-range shooting’s most nerve-wracking skills, bullet-drop compensation. That’s an incredible advancement, especially when paired with the carried-over BDC reticle, but the VX-2 does so much more without needing to add specially calibrated features. There you have it: the best simply don’t rest, and hunting rifle scopes don’t get much better than the Leupold for sheer 1-inch-group accuracy without a wealth of added features. Granted, it may not have as many intriguing added features, but that’s a testament to just how well-designed the VX-2 is. It simply doesn’t need them to stand a cut above two of Nikon’s finest scopes in terms of pure performance. Just bear in mind, the Leupold VX-2 may be my personal pick for the best rifle scope under $300, but I don’t see a way anybody could go wrong with any of these three fine scopes. Nikon and Leupold are among the brands most trusted by discerning shooters the world over for a reason. If a scope malfunctions and costs a hunter a hard-hunted trophy, neither the scope more its manufacturer may get a second chance. That’s why millions of sportsmen and women have chosen these two makers and barely ever wavered: they deliver on their reputations. Just to claify for those looking for a PROSTAFF 4, it is really a Nikon PROSTAFF 4-12 x40 BDC. Nikon does not have a PROSTAFF 4 line. They do have a PROSTAFF 5 which I own and is excellent as well as a great value. Nikon’s Spot On will let me dial in my longrange shooting to where I can hit a soda can at 500 yards! 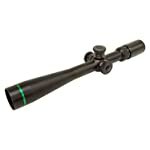 You wrote excellent about top 5 best rifle scope under 300. Your review helped me a lot about Nikon ProStaff 5 3.5-14×40. So is that leupold a 3-9 like you said in everything BUT the magnification comparison where you state it is a 3-16 (VX-2 doesn’t offer a 3-16 range scope) or are you comparing the Nikon scopes to a much more expensive scope such as the VX-5 with the 3-15, or VX-6 with the 3-18. As there is no such thing as a true 3-16. It would be a 4-16, and be Mark 4, whick is a $2000 scope.